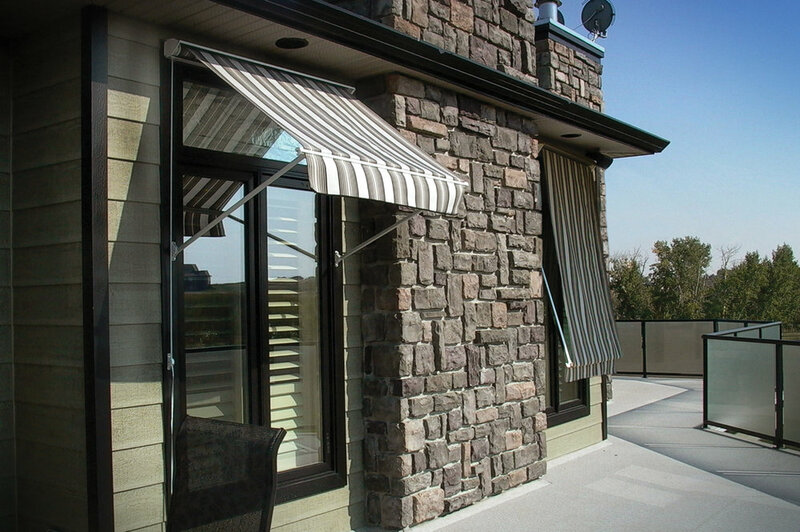 Window awnings are 7 times more effective at blocking heat than any other window treatment. 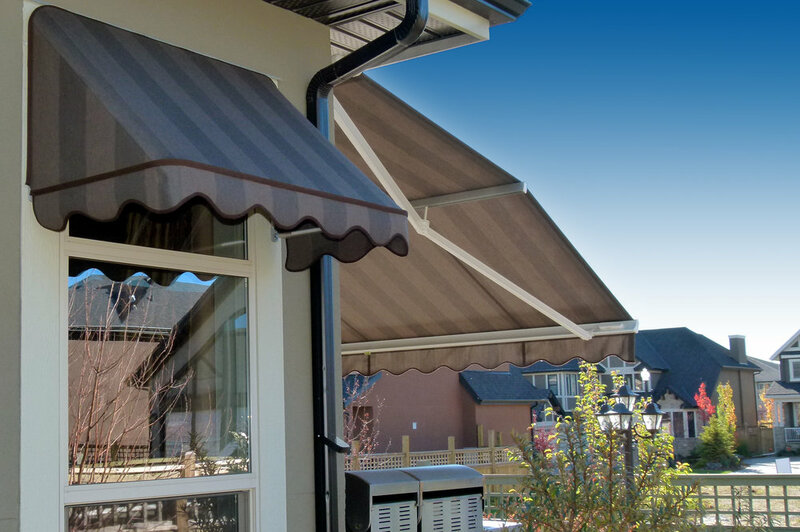 As with all of our awnings, over 300 poly-acrylic fabrics and colours are available as well as a range of waterproof vinyl fabrics. 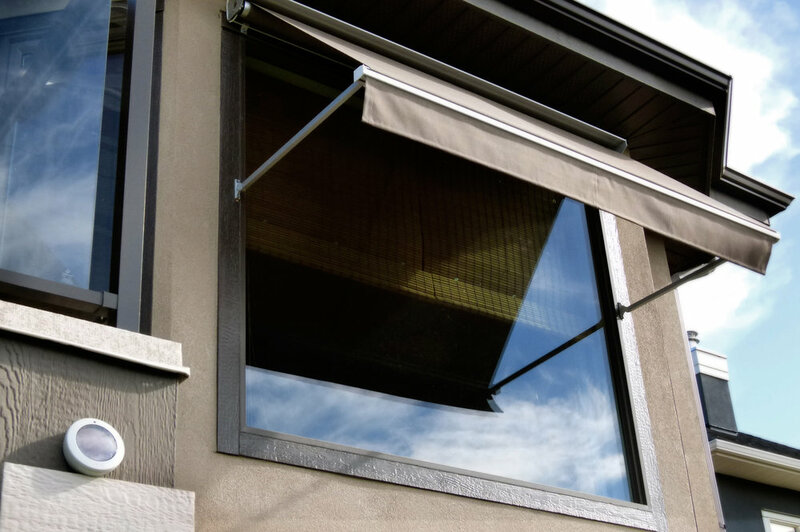 Fabrics are fastened to the frame using stainless steel staples and covered with a UV resistant decorator strip. 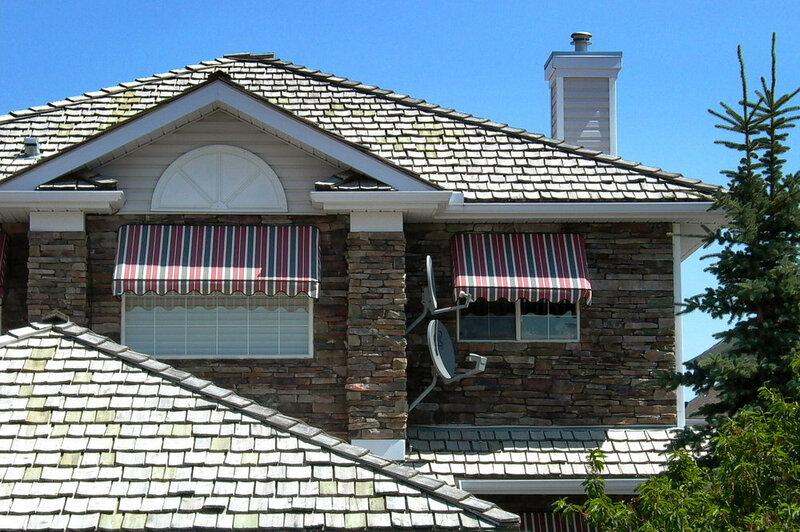 Many of our basket and canopy awnings have been designed to work in both residential and commercial environments alike. 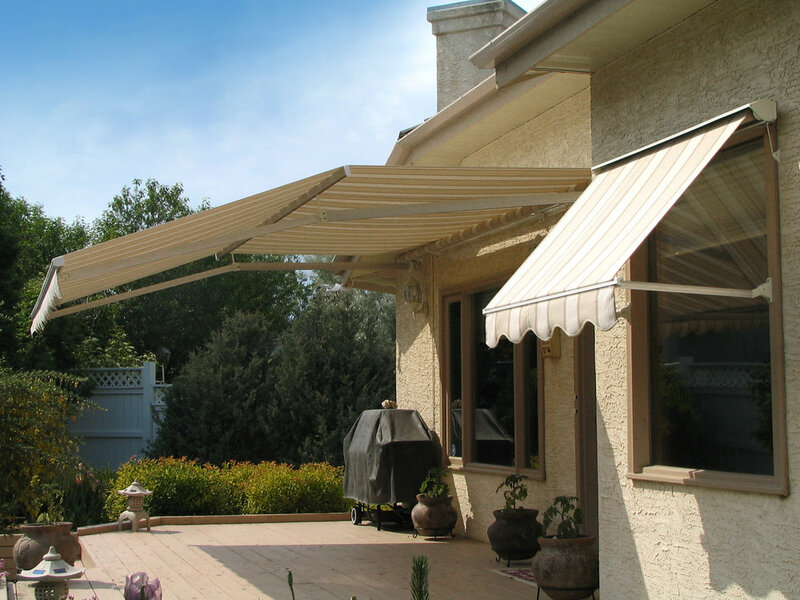 Our retractable Baron and Baroness awnings perfectly complement our line of patio awnings. 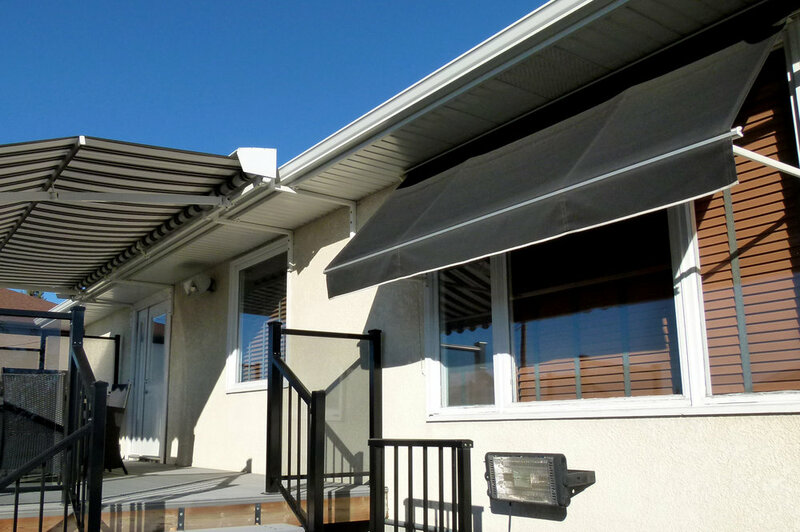 Both awnings extend a full 160 degrees to provide unlimited control for your shading and privacy needs and neatly roll up into a self contained housing when not in use. Operation is made simple with an inside or outside cord winch, outside crank handle or remote control for ultimate ease and comfort. 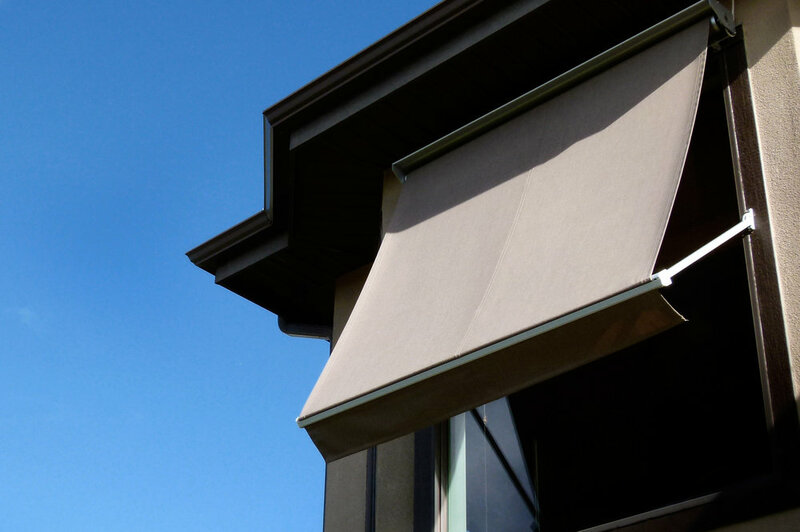 Our canopy awnings are made of extruded satin anodized aluminum and will not rust like steel or oxidize like mill finished aluminum. 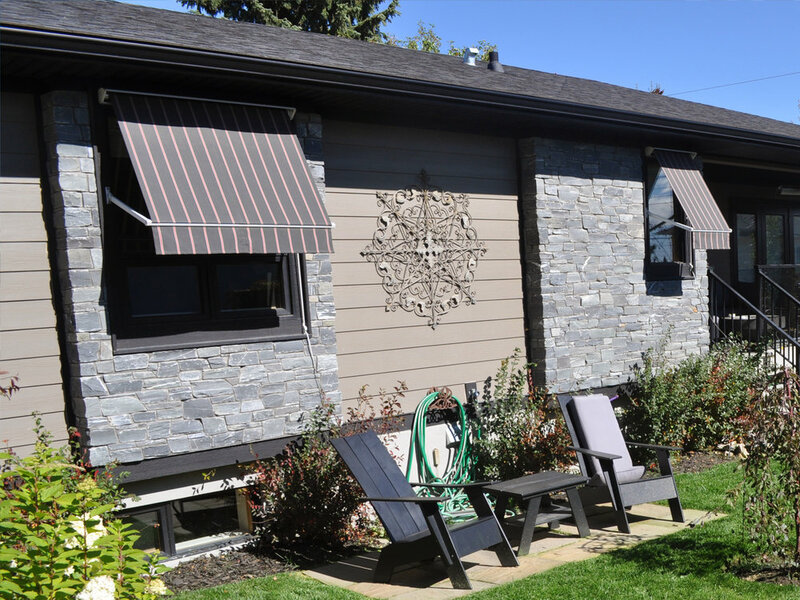 Each unit is custom crafted and most styles can be made retractable.